I’ve been writing about whisky since 1998 and have been writing full-time since 2010. Publication of my Canadian whisky book by a top publisher has been my biggest achievement so far. However, there have been many really magic moments along the way. Distilling marc with Serge Valentin in Alsace, meeting Johannes van den Heuval in Amsterdam – that was before the Malt Maniacs were formalized – he was so enthusiastic about whisky and so generous, visiting Islay before the festival went viral, judging the World Whisky Awards, being part of the Victoria Whisky Festival as it has become one of the best in the world. Honestly, there are so many highlights and it has been fun, fun, fun the whole time. My dad always kept a bottle of Johnny Walker Red in the liquor cabinet. I knew it was good stuff when our party-animal neighbour showed up one Sunday saying he had unexpected guests and needed to borrow a bottle of Johnny Walker. That was back in the 1960s. When my folks were out my brother and I would pour ourselves a dram and replace it with water to maintain the level in the bottle. I’m pretty sure Dad knew what was going on, but he said nothing, and the bottle was replaced often enough that we could keep up our raids without diluting it too badly. It was a foul and smoky brew at first but we soon learned to enjoy it. Then I remember someone pouring me a dram of Irish whisky at a party and I was quite taken aback at how flavourless it was compared to the Scotch we had at home. First and foremost, whisky means whisky friends. I enjoy the conversations and camaraderie that go along with being a whisky geek. Whisky itself is all about flavour. It is what the whisky does on my tongue. I don’t care how it is made, what rules it complies with, what grains are used, whether it has spirit caramel or not, or soap, or any of the things that so many people seem to care about. I drink whisky because I enjoy the flavours and not because of some romantic idea about it being a craft product. I would like to have another successful book on the market. Again, it has to be something original, something really new. I am working on that now and there are still several years of research and writing to go before I’ll really be ready to talk about it. Pike Creek Canadian whisky, export version. I am doing a series of head-to-heads with port- and wine-finished Canadian whiskies. My most recent single malt was the staggeringly wonderful Glengoyne single cask #1219 distilled in 1989 and bottled for Corman Collins in 2004. I finished that yesterday. I love whisky with raw oysters and I love sherry malts with chocolate but generally I don’t think whisky pairs well with most foods and I am not a big fan of whisky dinners. With a meal I would prefer to have wine or beer. Or water. I prefer to dram at home, in the evening, with a fire in the fireplace and family on the sofa. I also enjoy tasting new whiskies with my whisky buddies so we can compare notes. Typically each one tries to outdo the other by providing the most sought after new whisky. This is classic at PLOWED get-togethers in Las Vegas. We go from one ah-ha moment to the next. It’s hard to know but I think Canadian whisky is just poised to make a big breakthrough. The whiskies are great and the companies are beginning to promote them to high-end consumers. People who have not known me for long might think I am saying that because I am known as the Canadian whisky guy. It’s true that since my book came out I have become the go-to guy for Canadian whisky. But that is not my background and I most certainly don’t have an agenda to boost the Canadian whisky industry without regard to quality. However, there really is a lot of good stuff here that is flying under everyone’s radar right now. As a long-time Malt Maniac and whisky judge I have tasted and enjoyed thousands and thousands of single malt Scotches. I continue to do so almost every day. Tasting new whiskies regularly is a wonderful way to develop your palate and discover new flavours. I was there when the Malt Maniacs put Japanese whisky on the whisky map and the same with Indian whisky. That opened my mind to new whisky styles. Remember, many of us were pretty focused on Single Malt Scotch to the exclusion of everything else, and we were as surprised as anyone when Japan suddenly swept the Malt Maniacs Awards. At the same time some blended whiskies were beginning to show up among the gold medallists. It made me think that maybe I should give other whiskies another try. Suddenly I discovered that I was sitting on this gold mine of new whisky flavours and I had to tell all my whisky buddies about them. Of course the Scotch snobs pooh-poohed it. And some of my fellow Canadians were the worst. However, now that some of the world’s top connoisseurs are starting to say good things there seems to be some-what of a bandwagon effect. Suddenly, Canadian Scotch snobs who even a year ago spoke disdainfully about Canadian whisky want to be seen as experts on the subject – discerning experts. That tells me I am onto a good thing and I have great expectations for Canadian whisky in the next few years. The trouble right now is that a lot of the best whisky is only available here in Canada. Fortunately, that is changing. Canadian whisky is not single malt whisky and the flavour profiles are very different. In fact much of the Scotch whisky mindset does not apply at all. But people who are secure in their palates and open to new experiences are beginning to recognize that there are some really great whiskies made here in Canada. I think as prices of other whiskies continue to climb and connoisseurs continue to say good things about Canadian whisky, it could very well be the next big thing. Right now Canadian whisky is comparatively inexpensive. That will help a lot. Serious whisky lovers and anyone looking to get ahead of the curve really need to try top-end Canadian whisky. Not the cheap, bottom-shelf stuff, but award-winners such as Lot No. 40, Alberta Premium Dark Horse, Forty Creek Port Wood Reserve, Confederation Oak, Century Reserve Lot 15/25, Gibson’s Rare 18, Wiser’s 18, Wiser’s Legacy, Masterson’s and so on. That is a very difficult question. If I think about that as my desert-island dram then I guess it would have to be something flavourful and not too challenging. I tend not to drink alone a whole lot unless I am writing tasting notes. When I am with my whisky buddies I like to drink whisky that we can talk about. More commonly though, I drink when I am with family or at a social occasion and then I like something that doesn’t intrude too much on the conversation. Maybe this is heresy, but I’d have to say maybe Rittenhouse 100, or Forty Creek Confederation Oak. Perhaps Glenlivet 12 or Gibson’s 12. There are so many. For my final dying dram the question is a lot easier: Gooderham and Worts 15 year old Centennial Whisky from the 1960s or 70s. Many thanks to Davin de Kergommeaux. 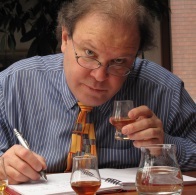 Who will be the next Whisky Insider? Click back soon to find out!